People for Plants was created by a husband and wife team – from their farm in NSW – as a natural skin care range made with the highest possible levels of organic ingredients. 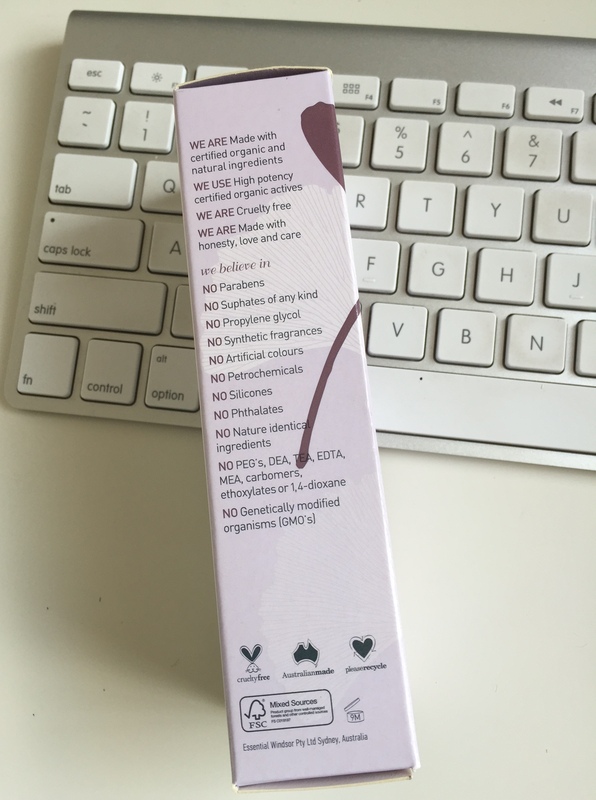 They are so committed to achieving this goal that they are Australian Certified Organic (ACO) accredited and even list the percentage of organic ingredients on each product. I love what the brand stands for, so wanted to give them a try. 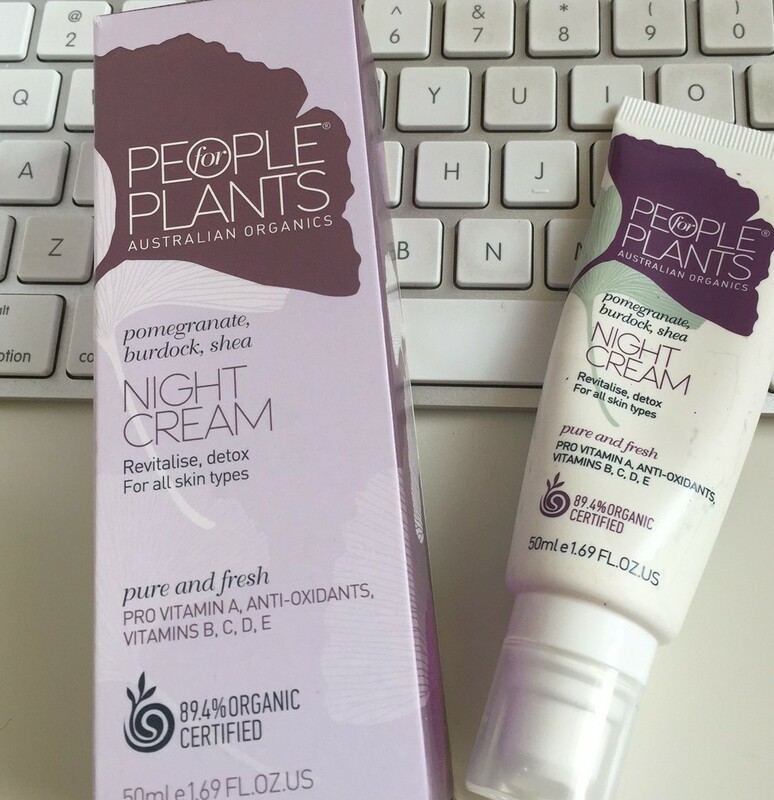 The range includes skin care and body care, but I’d just used up the last of my current night cream so I selected People for Plants Pomegranate, Burdock, Shea Night Cream ($29.95). The Pomegranate, Burdock, Shea Night Cream is (according to the product information) ‘vitamin and anti-oxidant rich’ and ‘perfect for all skin types’. It’s rich in pomegranate, with potent levels of vitamin C, anti-oxidants, collagen and elastin enhancing elements. Burdock helps detoxify the skin; hyaluaronic acid works to lock in moisture both internally and externally, while aloe vera provides hydration, shea and cold pressed Australian macadamia oil deeply nourish, so your skin is conditioned and protected. The products are also free of all nasties – including parabens, sulphates, synthentic fragrances and artificial colours – and completely cruelty free (certified by PETA). The cream is undeniably thick, taking a little effort to rub in, and did in deed leave my face feeling soft – so gets a thumbs up in that regard. The thing I couldn’t really get past is the smell. I know it is natural, so I tried to link it to some of the products (although I have no idea what burdock or shea smell like) – I thought if I could associate it with a natural product then it would be more appealing. But all I could smell was a slightly off ‘plastic’ type of smell. As though the product had been left in the tube for too long. So overall – cream good, smell not so much. So for that this isn’t a long-term keeper product for me. But I still love the People for Plants brand so I’ll try some of their other products. It borders on criminal to write about People for plants without posting a pic of their spokesperson!